Of the many looks we loved this Diwali, one that Isabelle Kaif posted on her Instagram recently totally got us wowing. Keeping the fact that the outfit is from Raw Mango, the yellow and purple colour combination said win-win in all ways possible. Not only do we love the floral printed purple choli, but the textured yellow skirt with the choli looks pretty good. The statement earrings that Isabelle wore completed the look fantastically. It is a look that many people can easily rock. Check it out. 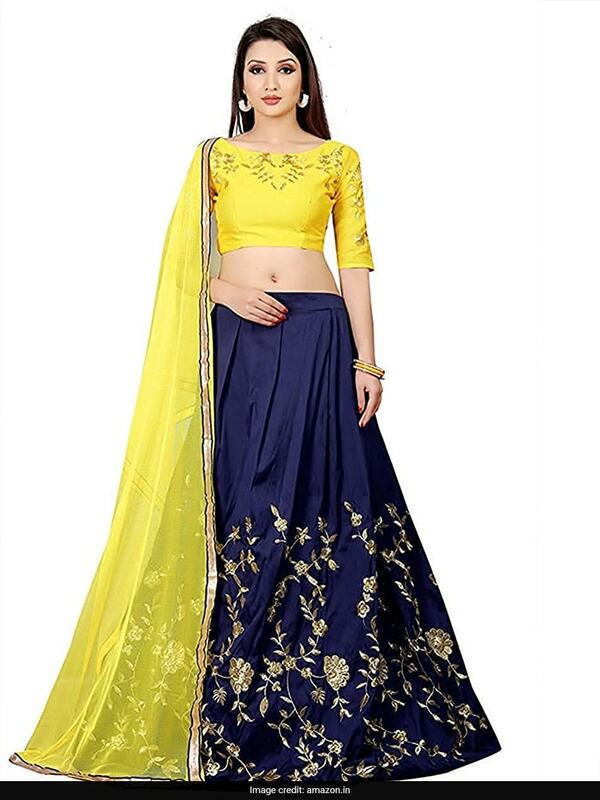 If you want to get a similar look, we recommend you get this yellow and blue taffeta lehenga that looks quite stylish and pretty. Not only the colour combination, we love the floral embroidery on the lehenga. It will work for many festive events as well as day wedding functions. Priced at Rs 650 after discount, you can get it here. Or how about going for a foil printed lehenga? This Juniper foil print lehenga-choli set in white and yellow is a very subtle and understated piece that will make you look quite elegant. You can style it up with statement jewellery. Priced at Rs 4,499, you can get it here. 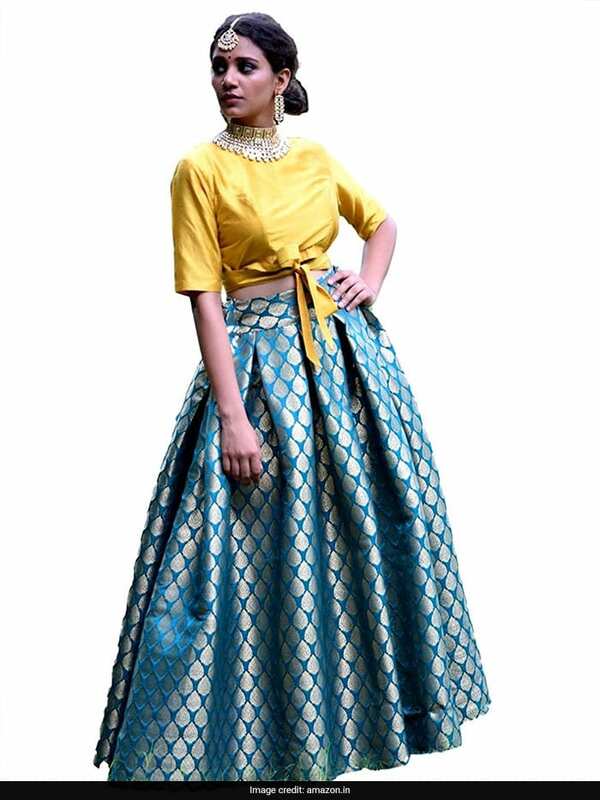 Another outfit we absolutely loved is this Kaala Teeka cotton silk lehenga set in yellow and cerulean blue. Another very pretty blue with the colour yellow, the set will work wonderfully with statement jewellery, as shown in the picture. Priced at Rs 15,000, you can get this here.